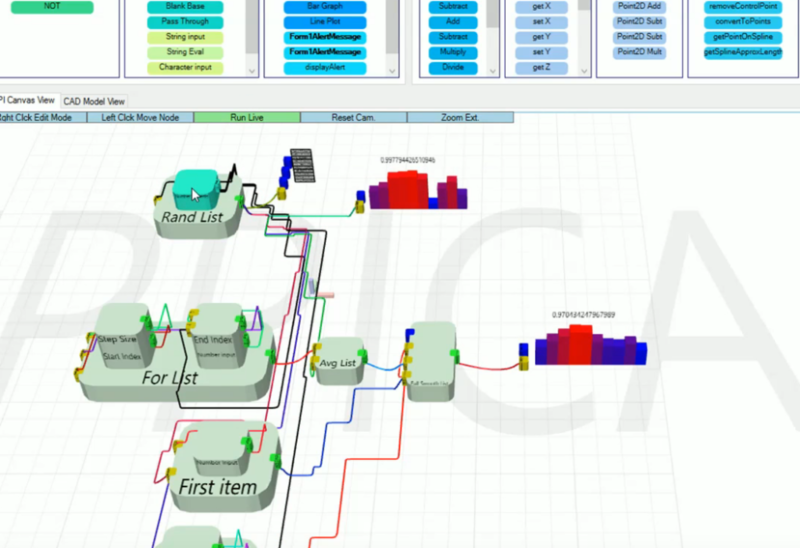 PUPPICAD is a free self-contained parametric geometry generator with a visual programming interface, created with the PUPPI and Helix3D Toolkits. What can you do with PUPPICAD? 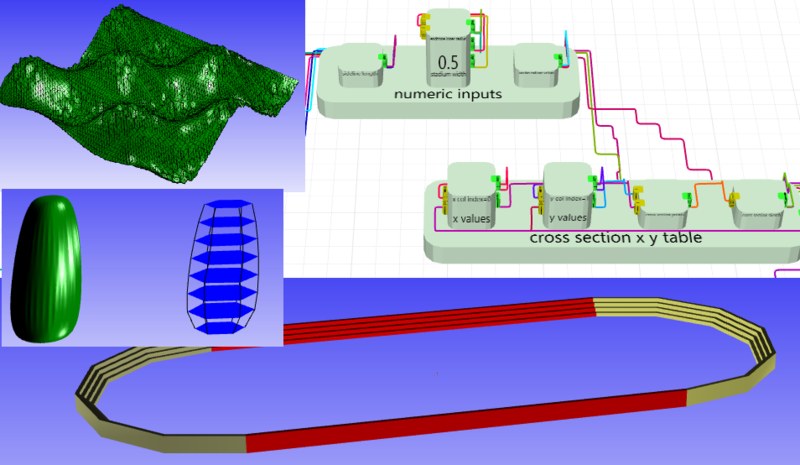 Create parametric CAD models based on complex rules or mathematical functions. Process CAD models and extract data. Create control panels with visual feedback directly on the canvas. Import and export 3D models in several popular file formats. Add new program features from an almost limitless source of free modules – .NET DLL files! And, did we mention, free? PUPPICAD is free to download and use. Please review the license agreement below and agree with the terms to reveal the download button. THIS AGREEMENT is made by and between Programmatic Modeling Consultants LLC, formed in Massachusetts (“PMC”) and anyone using the PUPPI Library and applications using PUPPI developed by PMC (“Software”), henceforth referred to as “Licensee”. This agreement is not a developer agreement, and it prohibits the Licensee to develop, sell or market any software or program that uses the PUPPI Library. A.PMC distributes PUPPI, including modifications, enhancements, improvements, updates, additions, derivative works, documentation and related material ("Software"). B. Mihai Pruna created the PUPPI library and is the owner of all intellectual rights associated with the PUPPI library. C.PMC desires that the Software be tested prior to general release. 1 PMC grants to Licensee a non-exclusive, non-transferable license to use the Software on a single computer at Licensee's business location solely for Beta testing and Beta use , subject to the term and conditions below. 2 In consideration for receiving a copy of the Software for testing, Licensee agrees to serve as a "Beta Site" for the Software and will notify PMC of all problems and ideas for enhancements which come to Licensee's attention during the period of this Agreement, and hereby assigns to PMC all right, title and interest to such enhancements and all property rights therein including without limitation all patent, copyright, trade secret, mask work, trademark, moral right or other intellectual property rights. 4 Software is prerelease code and is not at the level of performance or compatibility of a final, generally available product offering. Software may not operate correctly and may be substantially modified prior to first commercial shipment, or withdrawn. Software is provided "AS IS" without warranty of any kind. The entire risk arising out of the use or performance of Software remains with Licensee. In no event shall PMC or Mihai Pruna be liable for any damage whatsoever arising out of the use of or inability to use Software, even if PMC has been advised of the possibility of such damages. 5 Software related material, statistics, or information that is not deemed confidential to Licensee’s business can be used in press releases, customer testimonials, and as a reference in marketing and sales initiatives by PMC. 9 Failure of PMC to enforce a right under this Agreement shall not act as a waiver of that right or the ability to later assert that right relative to the particular situation involved. By using this software, the Licensee has agreed to the above terms. If the Licensee does not agree to the above terms, the Licensee will uninstall / remove Software.